Vacation Rental Home Property Search - Beachside Rentals, Inc.
PROPERTIES THAT ARE AVAILABLE IN A STRETCH OF DATES WILL NOT BE DISPLAY IN THE RESULTS. Travelers come to Cayucos for many reasons. Some to get away, others to explore the wine country or visit Hearst Castle. 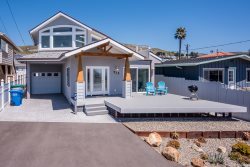 Beachside Rentals has a home to make your experience in beautiful Cayucos that much better! Maybe while you’re here, you will have an opportunity to see the bioluminescent waves, the migrating butterflies in Pismo Beach or the elephant seals birthing, molting or breeding in San Simeon.